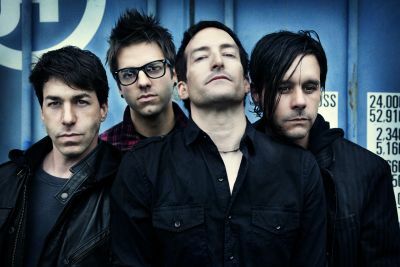 Filter have become the standard-bearers for industrial rock music in 2010. With ‘The Trouble With Angels‘ being released throughout Europe in a matter of days, we thought that it might be a good time to speak with Richard Patrick about the the new material and plans for a European tour. S] For ‘The Trouble With Angels’, what was the theme – is it about taking it back and focussing on real-life rather than relying on things like religion? RP] It’s more about the battle between religion and science that has been going on for centuries. S] You released the record on Nuclear Blast in Europe – they are a predominantly heavy metal label, how did that deal come about? RP] We were shopping for a home for our new record and our US label had done some business with Nuclear Blast in the past. We played them the record and they loved it. It has been a perfect fit for us. Those guys are fantastic. S] ‘Drug Boy’ is a very personal track and it looks at your past experiences – how much does that track mean to you when you listen back to it now, or perform it? RP] I love the song ‘Drug Boy‘. I actually began writing it during ‘The Amalgamut‘ sessions and revisited it for this record. It does remind me of a time many many years ago. It is a real hard rocking jam when we play it live. S] This record really goes back to your roots, and you’ve said that it’s not done for the label, but for the fans – was that a risky decision in your mind, or were you just looking forward to getting back to that “raw” attitude that helped to define Filter? RP] When we were out on tour supporting ‘Anthems For The Damned‘, I often spoke with many of the folks in attendance and I kind of took their pulse. They seemed enamored by the heavier ‘Short Bus‘ and ‘Title of Record‘-style Filter. So, I decided to listen to my fans and try to give them what they wanted. S] How long are we going to have to wait to see Filter over here in the UK – what are the biggest challenge for you guys to get over? RP] We have a tentative UK and European tour planned for January and February of 2011. The biggest challenge is not being able to get over more often. S] As someone who likes to talk about “the darker side of the human condition” can you tell us about the kind of head-space you need to be in to write and record, and how is that different to say, spending time with your kids – is there a transformation of sorts? RP] I write from my life’s experiences. I have been in touch with the dark side. So, I can reach back into my life’s experiences and draw from them. I am very pleased that I currently live ‘in the light’ though because I never want my kids to see the way I was. S] You’ve seem to have become closer with your fans over the last few years by doing things like offering them the chance to remix stuff and also interacting with them whenever possible online? RP] I have the greatest fans in the world. I love that I can reach out to them and they can reach out to me. S] How do you feel about your position in the music industry right now with the “gang” of fans and musicians that believe in you at the centre of Filter and continue to support you? RP] I will continue to do what I do as long as I have them with me. S] With the interchangeable nature of Filter and the revolving door-type scenario, how do you find it dealing with different types of people and personalities on an almost daily basis – do you find that a challenge? RP] I welcome the challenge. Everyone who has ever played in Filter has brought his or her own personality and musicianship into the fold. I consider many of those that have played in the band, still part of it. S] Can you tell us about ‘Catch A Falling Knife’ and the process of writing that song which was inspired by the story of Jaycee Dugard? RP] Bob Marlette [the new album’s producer] and I were talking about ‘Hey Man, Nice Shot‘ and how in the past we would take events from the headlines of the day and turn them into lyrics. The Jaycee Dugard ordeal was something that just kind of happened. This song was inspired by her situation and what it must have been like to be kidnapped for something like 20 years. S] Can you talk us through what a typical day in your life includes at the moment? RP] Most people would consider it pretty boring. I wake up at 5-or-6 in the morning with the kids and get them ready for breakfast. After they are settled, I go for a walk or hike for some exercise. After that, I speak to my manager and figure out the day’s work schedule – interviews, rehearsal and whatever. I try to get home in time to have dinner with the family and then work again into the night. S] What are some of your biggest challenges as a successful musician right now? RP] I think that has to be just figuring out a way to navigate the record business in 2010! S] Outside of music, you have written a column called ‘Filtering The Truth’ and work on various film soundtracks – are there any other projects you are looking forward to working on outside of touring? RP] I continue to do as much film work as possible. Bob Marlette and I are working on a couple of scores right now. 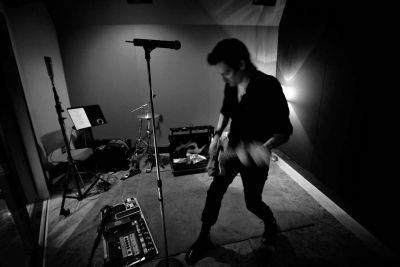 Read our 2009 interview with Richard Patrick here.